One of the common characteristics of financial industry top producers is a high networking IQ. 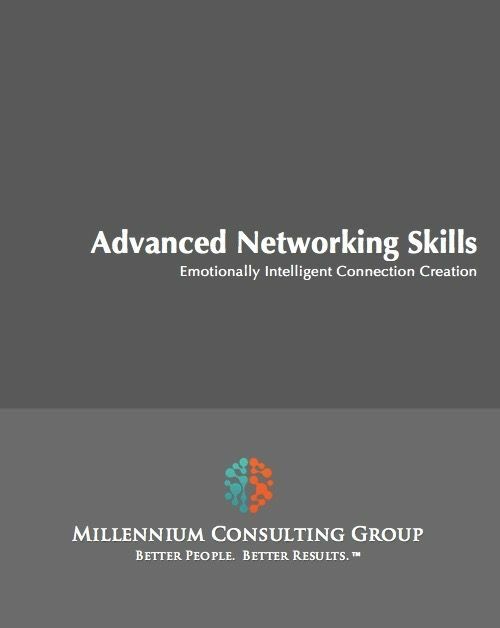 Financial professionals with a high networking IQ have the ability to build and maintain a powerful network of business and personal connections. And, they are expert at converting those connections into actual business opportunities. In the age of technology the term networking means a lot more than simply attending industry events. Participants learn how to identify their best networking opportunities (events, colleagues, alumni, communities, clients, associates etc.). Participants will also learn strategies and tactics that will allow them to capitalize on those opportunities and transform their network into a profit center.